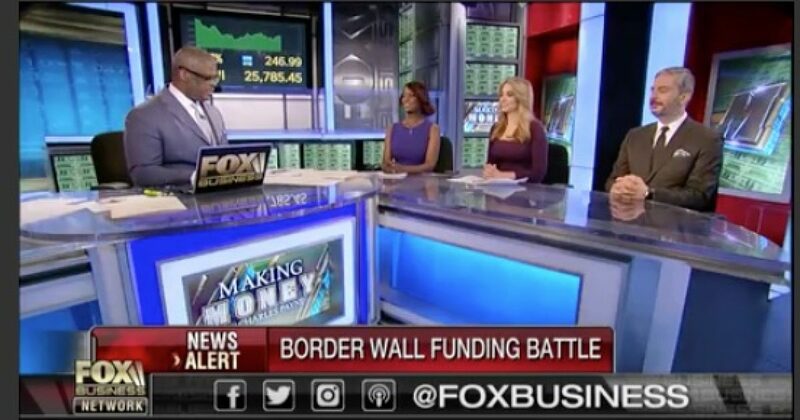 Fox News contributor and Blaze Media host Deneen Borelli debates border wall funding with i24News editor-in-chief and “Clearcut” anchor Michelle Makori and foreign policy analyst Arash Aramesh on “Making Money,” with host Charles Payne on Fox Business Network. The migrant caravan from Central America is making the border wall at the southern border a political issue prompting a call for greater border security. Congress wants to extend the deadline for government funding to work out issues including funds for the border wall. Congress is punting its shutdown fight over President Donald Trump’s border wall until just before Christmas, delaying a brutal battle after the death of President George H.W. Bush essentially shut down the Capitol this week. House leaders unveiled a bill Monday afternoon that will extend government funding until Dec. 21, moving a partial shutdown date two weeks down the road from this Friday’s deadline.